Knickernappies Holiday Gift Guide 7 of 10, Green Gifts & Giveaways Galore! Christmas is almost here! Today is Day 7 of our Ten Day Holiday Gift Guide! We're excited to share with you today's sponsors and some more great gift ideas from their stores! Maya Wrap has done it again, taking their fabulous, easy to use sling and made it even better!!!!! - Use in a variety of positions- Newborn THROUGH Toddlers! - Built in pocket for keys, phone, and more! The Maya Wrap Lightly Padded Sling from Everything Birth would make a fabulous gift for a parent of a newborn or toddler! Available in a variety of stylish prints and colors! Visit Everything Birth today or Fan them on FaceBook and be informed of their sales and announcements! Who hasn't heard of Taggies!? They are they adorable and inventive lovie that no little one should have to live without. They provide comfort and entertainment and come in a variety of prints. They would definitely be near the top of our list as a perfect gift for any baby. Created by an early childhood educator & mother of three, Taggies blankets are a lovey security blanket based on the idea that babies and kids love to rub satin edges, clothing labels and tags. Taggies offer babies and kids a generous assortment of tags which are designed to be both tactile and visually stimulating. Every Taggies tag looks or feels different. 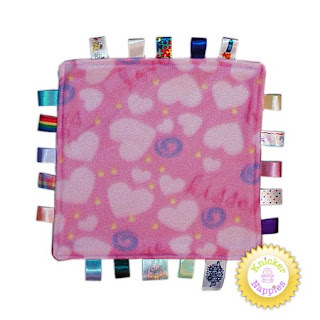 We call Taggies an "interactive Tagged blanket" because it provides the child with both an exciting activity and at the same time it is their cuddly, soft lovey security blanket. Your little one will love this children's security blanket. Become a Fan of MyPreciousKid on FaceBook today! MoBoleez Breastfeeding Hat & Nursing Cover from Cute Caboose! The MoBoleez Breastfeeding Hat is designed to compliment your nursing experience. Not only is it adorable, but it is a functional nursing cover also. Just place the MoBoleez Breastfeeding Hat on you baby and it stays put with it's unique "stay on head sideways" design. The wide brim offer ample coverage while you nurse your baby without fussing with blankets that slip off or get all tangled up. The Breastfeeding hat is soft and folds up easily taking up very little room in your diaper bag. This adorable nursing cover and functional hat is just the most creative gift I think you could find for a breastfeeding mom. No more draping a bulky blanket or cover over your whole body, simply put the hat on babys head and voila! MoBoleez comes in a variety of colors and prints. Visit Cute Caboose for more info and Fan them on FaceBook to be updated whenever they have a special or sale. Today's Prizes: Two winners will be chosen. (1) Winner will receive a $10.00 Gift Certificate to My Precious Kid and (1) Winner will receive a $20.00 Gift Certificate to Cute Caboose! (1 entry) Follow My Precious Kid on FaceBook and comment on their wall to say hello and verify that you indeed became or already are a Fan. (1 entry)Follow Cute Cabooseon FaceBook and comment on their wall to say hello and verify that you indeed became or already are a Fan. (1 entry)Visit My Precious Kid and comment here with one other item you'd like to purchase from them besides the featured Gift Guide item. 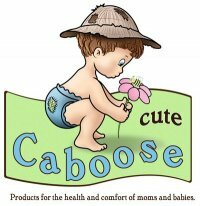 (1 entry)Visit Cute Caboose and comment here with one other item you'd like to purchase from them besides the featured Gift Guide item. *Reminder, you have until 12pm EST on Dec 21st to enter this giveaway and then 48 hours to claim your prize if you do win. Check back daily because we'll be having giveaways on our Gift Guide every day until December 24th! Good Luck! From My Precious Kid, I would also like to have the Knickernappies OS! 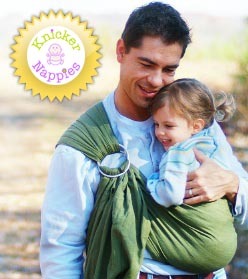 From Cute Caboose, I would like to have the Knickernappies diaper sprayer. From my precious kid I would love another knickernappies os dipe! I follow Knickernappies on Facebook! From My Precious Kid I have looked at the Knickernappies SuperDo or additional LoopyDo's for my OS. I have yet to get a wet bag and the ones on Cute Caboose look adorable! From the cute caboose, i would love the fuzzi bunz one size pocket diaper! I'm already a fan of My Precious Kid on FB! I'm already a fan of Cute Caboose on FB! I would like to try a Blueberry Minky Pocket Diapers with H&L closure in Green Camo from My Precious Kid! I'd like to try a FuzziBunz One Size Pocket Diaper in Orange from Cute Caboose! I liked and said hello on FB to Cute Caboose. I liked and said hello to Cute Caboose on FB. I fanned my precious kid on fb and thanked them! Liked My Precious Kid on FB and wrote on their wall. Liked Cute Caboose on FB and wrote on their wall. I'd like a Thirsties Duo Wrap from My Precious Kid. I'd like to try the knickernappies OS from Cute Caboose. I would love the magic bowl dvd from my precious kid!